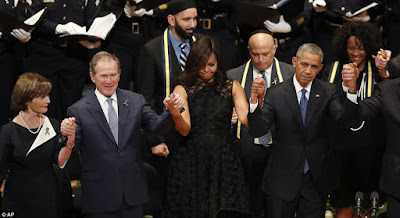 Home / Unlabelled / George Bush Slammed For Dancing During Solemn Memorial Service For Dallas Cops. George Bush Slammed For Dancing During Solemn Memorial Service For Dallas Cops. Former President George W Bush has been mocked on social media for dancing along to the Battle Hymn of the Republic during a memorial service for the five police officers killed in Dallas last week. 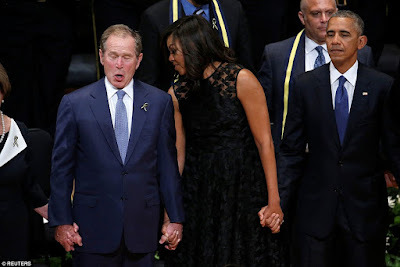 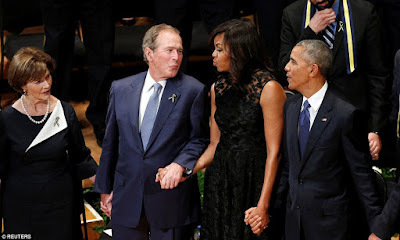 As he held hands with his wife, Laura, and first lady Michelle Obama, Bush could be seen swaying and swinging his arms while the choir sang the American Civil War-era song. 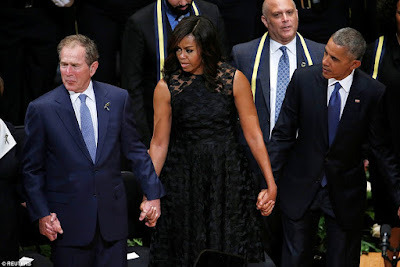 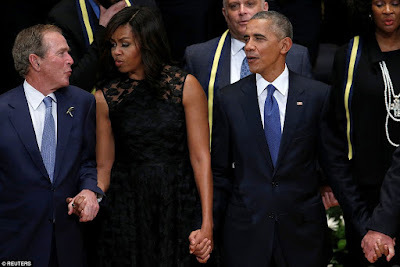 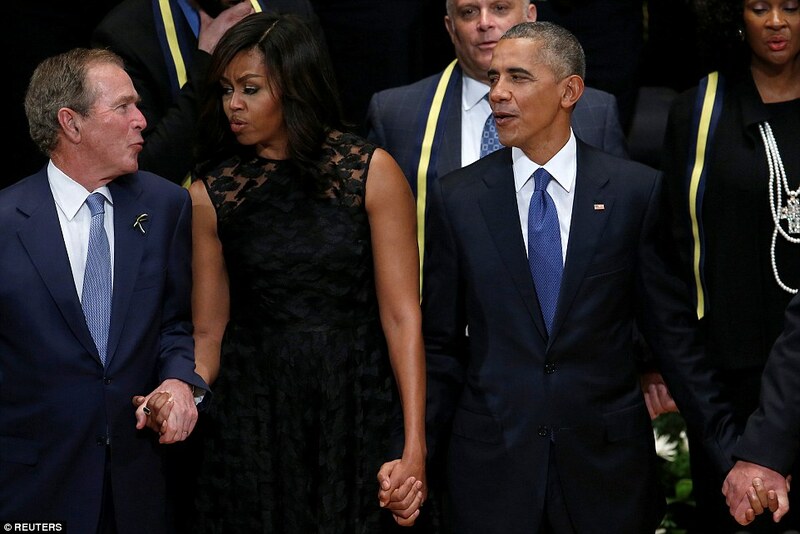 At one point, Michelle leaned in to whisper something into his ear as Barack looked over with a smile during the service at the Morton H Meyerson Symphony Center, Dallas.